Candy canes have always been one of my favorite parts of the Christmas season. 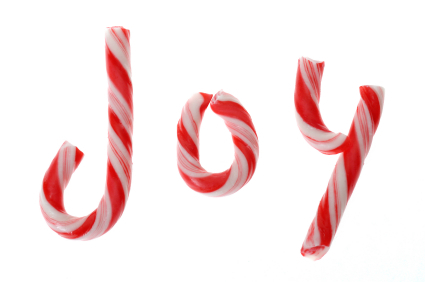 The simple brightly colored - red and white, peppermint flavored candy makes me smile. Like a lollipop you can savor one for hours. As much as I like them until this week I’d never wondered about their origins. Little did I know that there is a website dedicated to candy canes, (candycanefacts.com), that December 26 is National Candy Cane day or that over two billion candy canes are sold annually in the US alone. If you want to see how a candy cane is made travel to Columbia, California and reserve some time at Nelson’s Columbia Candy Kitchen.http://www.columbiacandykitchen.com/stores.htm. In 2010 Nelson’s was voted one of the best Sweet Shops in the US by USA Today. One of their specialties are handmade candy canes. They make them in the traditional size and shape but more exciting are the ones as big as two feet tall or wreaths woven from the the red and white candy, If you’re at the store in late November you can watch them being made or join the candy makers and create your own. That’s a real holiday treat.